CrucialTec has developed a technology that allows a camera module to recognize iris and capture photos. Because it does not require a separate camera for recognizing iris, it will be useful in simplifying Smartphone design and reducing number of parts. CrucialTec (CEO An Keon-jun), which is a cellphone parts manufacturer, made an announcement on the 1th that it has developed a module that can recognize iris and capture photos at the same time. Characteristic of this module, which operates in junction with Smartphone camera, is to implement these two functions through ‘filter changing’ method. Visible ray filter and infrared ray filter are installed inside of this module and they are automatically placed on top of lens depending on filming mode. Normally visible ray filter and infrared ray filter operate when taking pictures and recognizing iris respectively. Advantage of this technology is to use a frontal camera that comes with a Smartphone as a camera to recognize iris. This indicates that a separate camera for recognizing iris is not needed. Galaxy Note 7 that was released by Samsung Electronics recently has a frontal camera as well as a camera for recognizing iris. 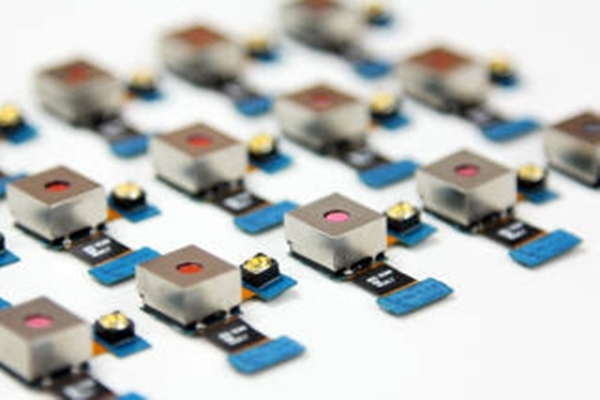 CrucialTec has explained that a Smartphone manufacturer can reduce production cost by third and added that this module will be useful in design since it does not occupy space of a Smartphone that much. CrucialTec started working with Micro Actuator since end of last month and has developed a module for recognizing iris. Micro Actuator possesses a ‘iris IR filter’ technology that enables Smartphone camera to be used as a infrared ray camera for recognizing iris. CrucialTec has developed its own algorithm for recognizing iris and also registered patents regarding this technology. CrucialTec is planning to push for active commercialization since it recently finished developing this product. It has started promotions for sales on global Smartphone manufacturers and is predicting that it will be able to supply these modules starting from early next year at the earliest. CrucialTec is also planning to create synergy along with modules for recognizing fingerprints. Since it has solutions for recognizing fingerprints and iris, it is planning to expand its business b supplying both parts for Smartphones.